Inman Park is Atlanta’s first planned community and one of the nation’s first garden suburbs. Developer Joel Hurt built it in the late 1800’s and donated the land for Springvale Park, which has become the center of the neighborhood. Inman Park (sometimes called Little Five Points after its major intersection of Moreland, Euclid, and McLendon Avenues) prospered for several decades, but the early 1950’s, it was in serious decline, a victim of the tilt toward the automobile that plagued this and other intown neighborhoods after World War II. Starting in the early 1970’s, however, urban pioneers fell in love with the exuberant Victorian architecture so prevalent in the area and the rebirth of Inman Park was well underway. A civic organization was formed, and it managed the difficult feat of getting the entire neighborhood zoned back to residential. In 1973, Inman Park was officially listed on the National Register of Historic Places. Housing restoration is still going strong, and if you stroll or drive through the neighborhood, (bounded on the south by the Georgia Railroad Line (along Dekalb Avenue), the Southern Railroad Line on the west, the southern lane of the Presidential Parkway on the north, and finally Moreland Avenue on the east), you will be rewarded by views of spruced-up Victorian, Colonial Revival, and Queen Anne style homes. For decades now, a rite of passage for Atlanta-area teenagers of all ages has been an extended visit to the Little Five Points area. Some of the people who used to hang out there are now successful professionals who have bought and restored houses in the area. Restaurants and watering-holes, such as Front Page News, have joined such venerable neighborhood institutions like the Euclid Avenue Yacht Club. Inman Park is blessed with several vibrant cultural venues. Variety Playhouse was awarded Creative Loafing’s “Best Concert Venue” for several years. The Seven Stages theater has been pushing the envelope of the Atlanta theater scene since 1979 and can always be counted on for a stimulating and thoughtful evening. And speaking of “pushing the envelope”, WRFG (aka Radio Free Georgia) has been keeping Atlanta’s airways honest with music and talk you won’t hear anywhere else! If you are new to Atlanta area, we hope we’ve been able to give you a taste of what a wonderful neighborhood Inman Park is. And if you are a long-time resident, let us know your favorite parts of the neighborhood (click here to email us)! And, of course, if you are interested in buying a home in Inman Park — or are a resident interested in “trading up” — we hope you will consider allowing the zac team to help with your real estate needs. 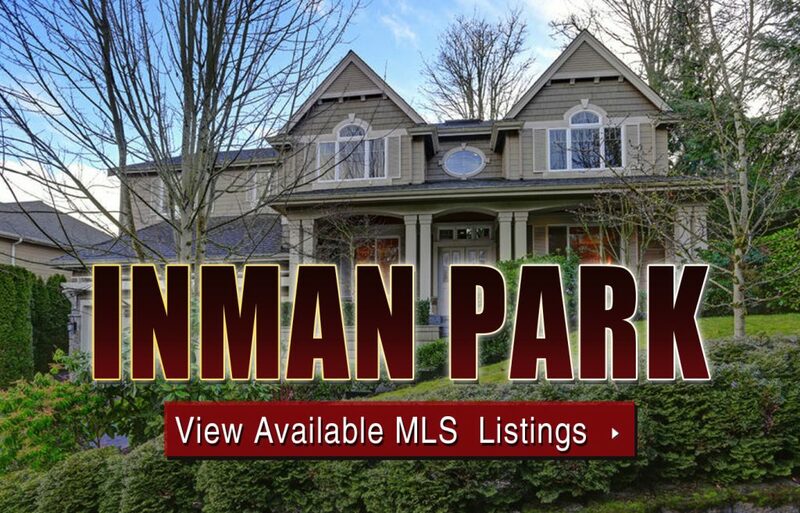 If you’ve been searching Inman Park homes for sale and are ready to take your search to the next level, give us a call now to schedule a private home tour of a listing you see that’s currently available on the MLS!